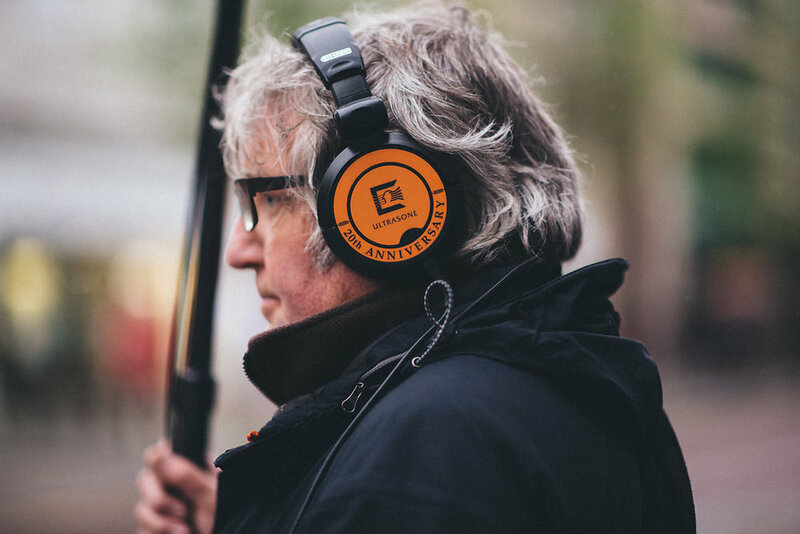 Blog — Little Giant Films is a boutique video production house from Northern Ireland. Antrim Grammar Style recently hit the BBC and not before long, UTV and The Belfast Telegraph Online had articles of their own. With the huge success of securing the Guinness PRO12 Final in the Kingspan Stadium of Belfast last month, there came the incredible opportunity to announce this. Little Giant Films were approached and commissioned to create a concept that would invoke even more excitement around the big game, and to highlight to the country the incredible support from not only those working at Ulster Rugby, but the vast amount of agencies that pulled together to see the final showpiece game held here. 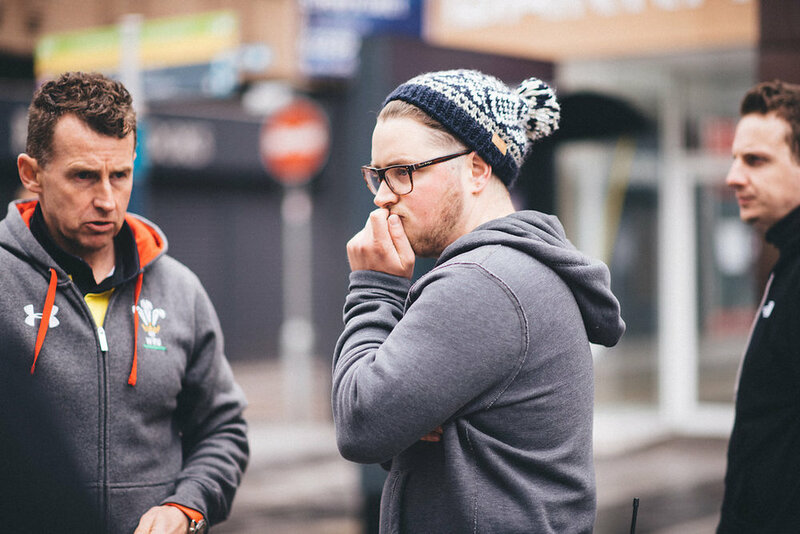 Working together with Neil Brittain, communications manager with Ulster Rugby, we developed a creative concept to inspire as much excitement into Rugby fans and those living and dwelling in Northern Ireland alike. Proud that our wee country could host something as successful as this, we coined the phrase ‘The City is Your Stadium’, which it is! Belfast City has become a popular tourist destination and for that we should be proud; more and more agencies, big and small are choosing Belfast to host these fantastic events and long may it continue. So, with that, we worked on bringing our slogan to life. 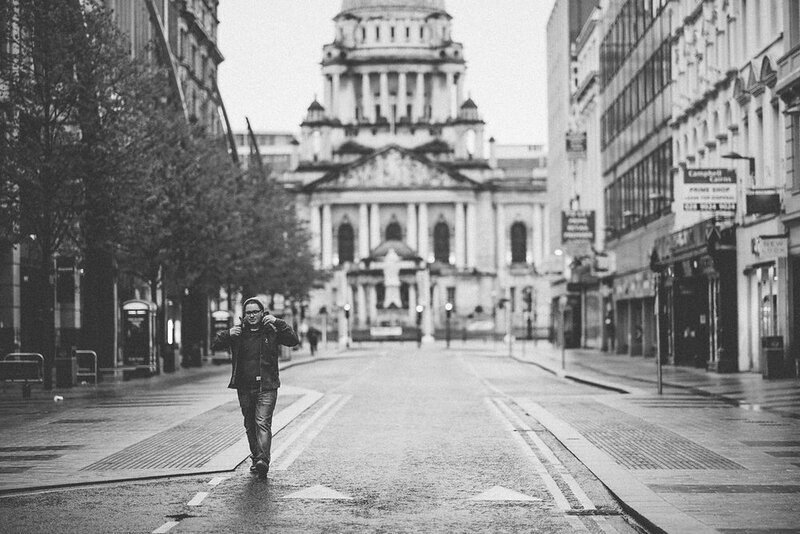 Joining together with Neill, we took to the streets of Belfast City centre on a very early, cold Sunday morning and asked some kind Rugby players to run around, embracing the city as their stadium. This involved the boys using the white lines in the road as markers to run between, doing push ups on the benches and even chin ups on the bus stops! 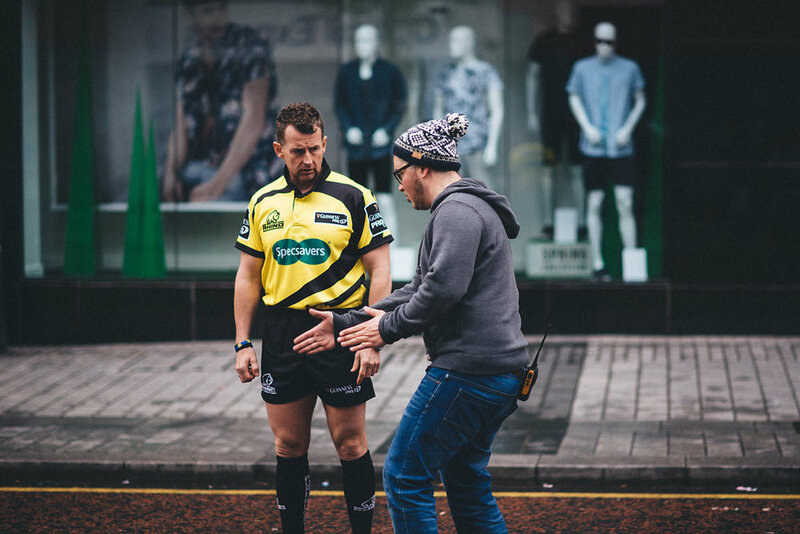 It didn’t end there though, we had the exciting chance to work with world renowned Welsh International Rugby referee, Nigel Owens, who agreed to referee a match on Belfast tarmac. A fantastic sportsman and a fantastic sport, he brought out some amazing one-liners such as sending foul players to the bins and ringing up the television match official to ask whether a point has been scored or not from a public pay phone. Spirits were high when filming ended that Sunday and this continued when we teamed up Jim Neilly, BBC sports and Rugby Union commentator who very happily commentated on the match that took place, engaging with Nigel’s amusing reactions and bringing together a piece of work that makes us very proud. Wendy Austin with Dan Gordan chatting about the project. With Belfast caught up in Giro D'Italia fever last week, local actor Dan Gordon decided to put some positive 'spin' on the east of the city. Fed up with the negative publicity surrounding east Belfast, Dan and his actor mate Michael Condron came up with a quirky way of promoting the place in a good light. The pair, who both have close ties to east Belfast, teamed up with Little Giant Films to make a promotional cycling video with a twist. 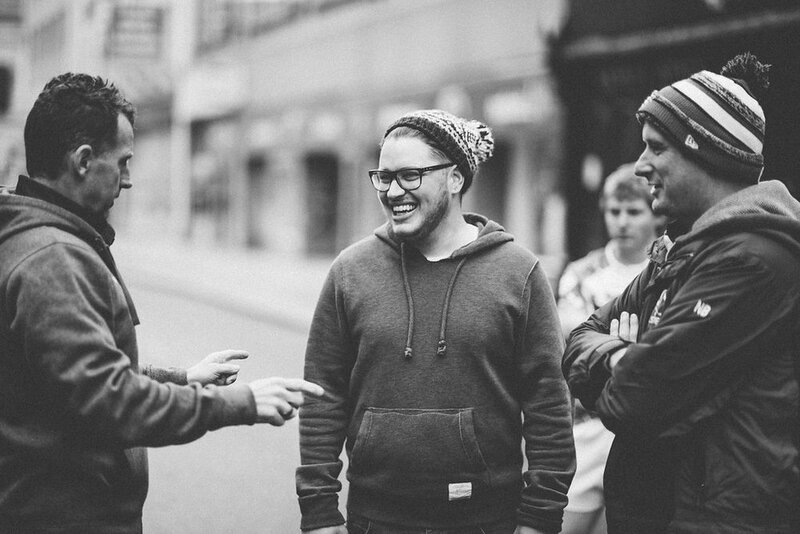 Condron, who previously worked with Gordon on the critically acclaimed play The Boat Factory, was the 'star' of the short film, which has notched up over 50,000 views on youtube. Dressed in pink and black lycra, Condron was featured cycling on a bike against the backdrop of the Newtownards Road, singing his own rather unique version of the Queen hit I Want To Ride My Bicycle. The video also featured cameo appearances from a number of east Belfast flute bands, MLAs Sammy Douglas and Michael Copeland and local councillor John Kyle as well as personalities May McFettridge and Ma from Give My Head Peace (Olivia Nash). Dan, who came up with the idea of the parody, said he was fed up with all the bad publicity about east Belfast and wanted to show what the real Newtownards Road was about. "To be honest, I'm just tired of all the bad press coming out of east Belfast," he said. "Everyone tends to get lumped in the same category. It's always 'They've just done this and they've just done that', not just some nutter throwing dog poo around some poor guy. "I just decided on the spur of the moment to do something that shows the real east Belfast, the real Newtownards Road. It's not just a reaction to the recent goings-on, but to all the bad press we seem to get. "I was born and bred in east Belfast. My father was a shipyard worker. So I must admit, it hurts me when I hear all this stuff said about the area. "There's been so much goodwill on the road, especially with the Giro D'Italia. Everyone's been getting into the spirit of it, so I just thought it would be fun to show local people having a bit of craic." 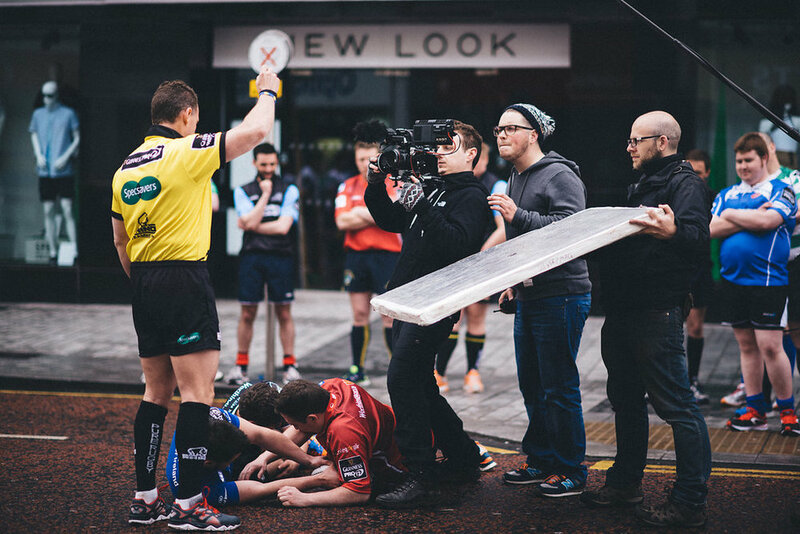 We caused a bit of a media scrum recently when one of our Ulster Rugby promotional films hit the headlines. Featuring the Ulster Orchestra, last year's Voice UK winner Andrea Begley and random fans performing Stand Up For The Ulster Men, was released ahead of the Heineken Cup quarter-final match against Saracens earlier this month. The story took on legs of its own and was picked up The Belfast Telegraph, the Daily Mirror and BBC NI, among others. RaboDirect PRO12 play-off win over the Scarlets at Ravenhill.